After switching places with his identical twin to catch a criminal, Mitch is the one who's hooked - on his brother's girl! Grant "Mitch" Mitchell is a cop accustomed to bailing out his charming, irresponsible twin, but his brother's never been mixed up with a criminal before. 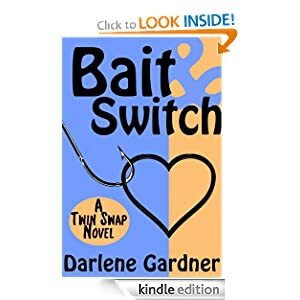 The plan to get his twin out of trouble is a simple bait and switch. Mitch will go undercover as his brother to gather enough evidence to put the bad guy in jail. It seems easy enough until a blond knockout shows up on his brother's doorstep. She's not only gorgeous, she's spitting mad. Before Mitch knows it, he's trying to keep his hands to himself while winning back his brother's girl! Meanwhile, his twin is living it up while attempting to impress a woman who thinks he's Mitch. Which leaves a doozy of a question: Are the women falling for them or their mirror images? After her SUV meets the business end of a deer, Oh-Donna is pulled into an exciting dreamland far away from her peon job and selfish siblings--where mystery, murder and romance take over. Her debonair angel takes her time traveling through the sordid pasts of her Secret Service Agent mother and her genius medical researcher father--who was obsessed with Marilyn Monroe. Oh-Donna discovers she is the first baby born from an ovarian transplant. She must sleuth out the dark secrets of her D.N.A. and close an unsolved murder. A stand-alone novel in The Good Girls of Washington series: Hundred Dollar Bill, Thousand Dollar Pharaoh, The Immaculate Deception and The Master Manipulator. Don't miss the steamy short prequel to this series, Persuasive Lips! The Immaculate Deception won the Romantic Times Book Reviews Magazine Reviewers Choice Award for Best Small Press Paranormal Romance. Normally, we wouldn't post something with such an abysmal rating, but we know that one reviewer might hate a book while others love it. In this case, someone who didn't like the book posted first. If you grab it, be sure to tell us if you like the book or not! Twenty years after a pandemic wiped out a third of the population, data analyst Jackie Fournier searches for the location where the disease first appeared. 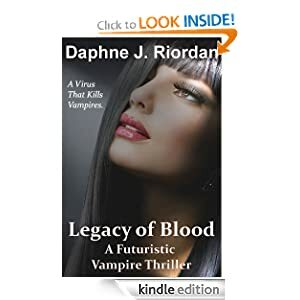 It seems like a fairly mundane assignment until she's attacked in a dark parking lot by a man claiming to be a vampire. But how is that possible? Everyone knows vampires don’t exist. Meanwhile, certain factions in the government find out what Jackie's been hired to do, and want it stopped. They arrange to shut down the project and send a secret agent/assassin to make sure she stops digging. They had their whole lives to look forward to if only their husbands could survive Vietnam. In the spring of 1970 - right after the Kent State National Guard shootings and President Nixon's two-month incursion into Cambodia - four newly married young women come together at Ft. Knox, Kentucky, when their husbands go on active duty as officers in the U.S. Army. Different as these four women are, they have one thing in common: Their overwhelming fear that, right after these nine weeks of training, their husbands could be shipped out to Vietnam - and they could become war widows. Sharon is a Northern Jewish anti-war protester who fell in love with an ROTC cadet; Kim is a Southern Baptist whose husband is intensely jealous; Donna is a Puerto Rican who grew up in an enlisted man's family; and Wendy is a Southern black whose parents have sheltered her from the brutal reality of racism in America. Read MRS. 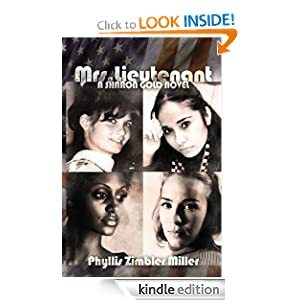 LIEUTENANT to discover what happens as these women overcome their prejudices, reveal their darkest secrets, and are initiated into their new lives as army officers' wives during the turbulent Vietnam War period.